Permanent makeup, also known as micropigmentation, includes outlining the eyes, and coloring the lips and cheeks with a permanent organic pigment using a tattooing needle. The process is a form of tattooing. Permanent cosmetics never run or smear, so they are great for people with poor vision or motor function who have a difficult time applying makeup. Easily trigged post inflammatory hyperpigmentation. 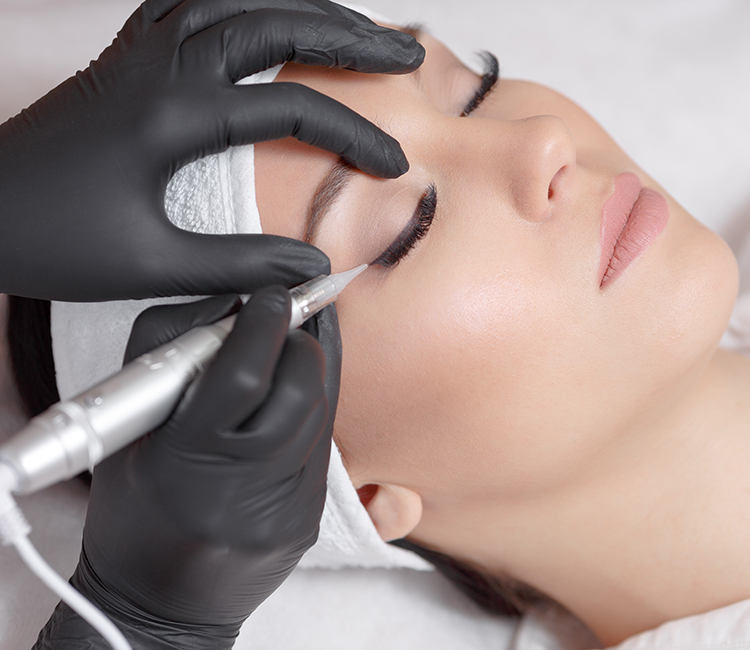 Permanent makeup is akin to tattooing and therefore is often governed by your state’s tattoo licensure. It is important to note that most states do not allow nurses and estheticians to perform tattooing under their licenses. Please check with your local medical board, nursing board and tattoo licensure regulations for more information. Typically, there is very minimal downtime with permanent makeup. There is not generally any bruising, and the redness and swelling mainly takes place the day of the procedure and possibly the next day. Depending on the type of pigment, with time, it fades.